Last month I was away from Baby Awesome for the first extended period of time ever and headed down to Natural Products Expo West in Anaheim. This was my second time attending the show and second year being a part of the We.Blog team with New Hope (the company that produces the show). For those of you who’ve never heard of Expo West before, it’s the world’s largest trade show and convention for the natural food products industry. There are over 2,500 exhibitors and they had a record breaking attendance number of 70,000 people this year. It was insane. 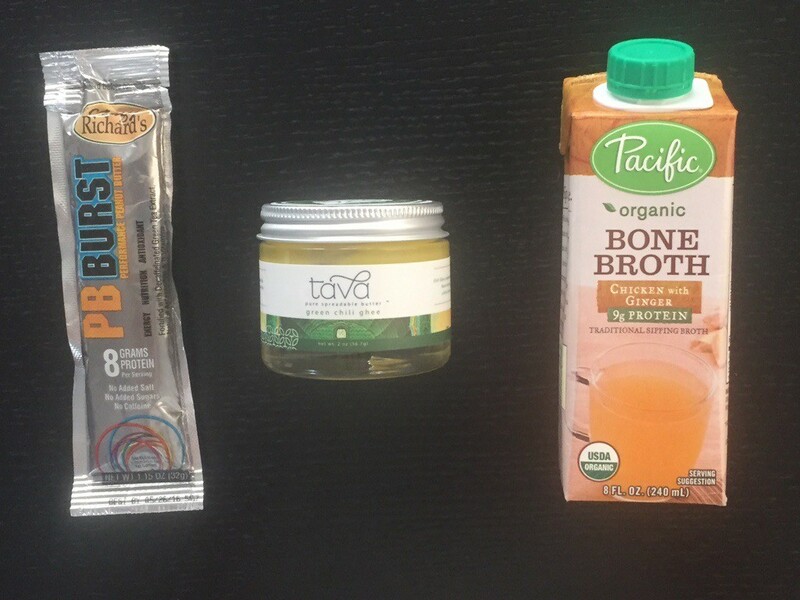 Now that I’ve been twice, I can honestly say that Natural Products Expo West is my favorite show of the year. There isn’t anything like it. Where else can you get all the brands and people in the natural foods industry congregated in one place? It’s pretty impressive. There is so much energy on the show floor and it’s so great to see such excitement around natural and healthy food products. You can read more about these products and why I chose them on the New Hope site here. Picking my top three products was so hard and there were so many brands and products I loved that I decided to list them out here on my blog. Here they all are broken down by categories! A sample pack of all the GoMacro bar flavors. GoMacro bars- I have heard about this brand from several colleagues who just rave about their bars. Finally I had the chance to try one for myself. I was given a sample of their Sunbutter Seed bar and had it for breakfast the next morning. It was SO good. They gave me a sample pack to try out and I am digging all their flavors especially the cashew butter one. These are a fun new find for me. Health Warrior- I’ve heard a lot about HealthWarrior and their chia seed bars over the years but had never tried one for myself. I received a sample of the Dark Chocolate Coconut Sea Salt bar in my press bag. I loved it! It’s such a great snack and has 10 g of protein and 5 g of fiber per bar. Munk Pack –When I first had Baby Awesome I received a sample pack of Munk Pack pouches in the mail. They have three different flavors – Apple Quinoa Cinnamon, Blueberry Acai Flax, and Raspberry Coconut. 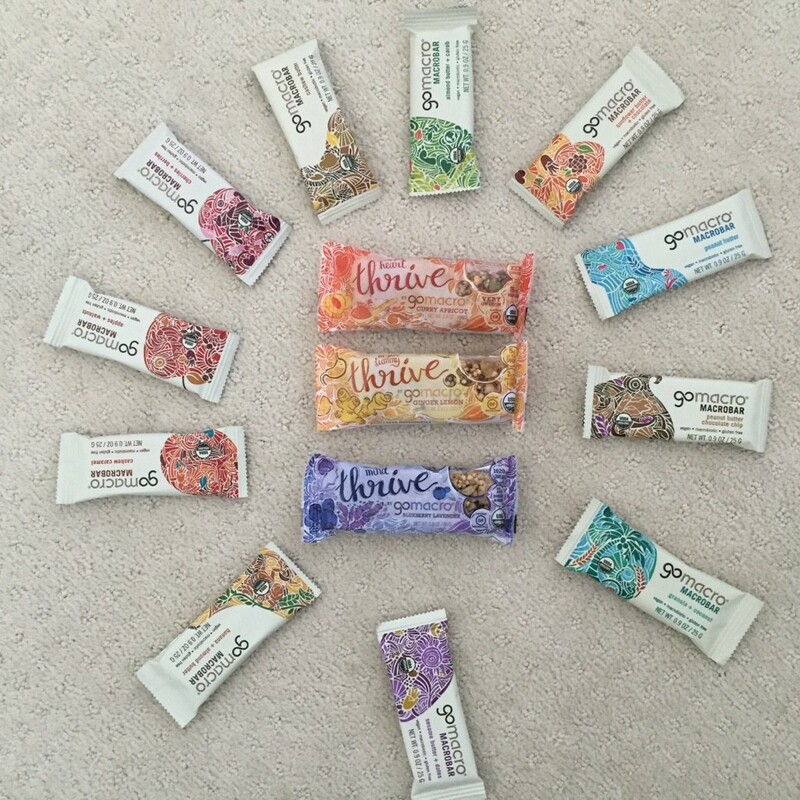 They are all gluten free and are great snacks on the go for hiking or adventure sports. For me, they were great as a snack for a new mom that I could easily inhale quickly. If I had more time, I would have written a product review about just how awesome Munk Pack is. Instead I visited their booth at ExpoWest and personally thanked the founders for making such a great product. I have bought three boxes of Munk Pack on Amazon since having Baby Awesome and my favorite flavor is the Apple Quinoa Cinnamon. Belicious- This is another snack in a pouch What intrigued me about Belicious was that their products are made using mostly veggies and are very low in sugar. They aren’t on the market yet, but when they are I highly recommend checking them out. Their booth was so busy when I stopped by and I believe it’s because this product is so unique! Made in Nature Organic Toasted Coconut Chips Expresso– The ingredients in these are all organic and simple: dried coconut strips, maple syrup, vanilla bean extract, espresso, and sea salt. I had these as a snack and the bag quickly disappear. SO GOOD. 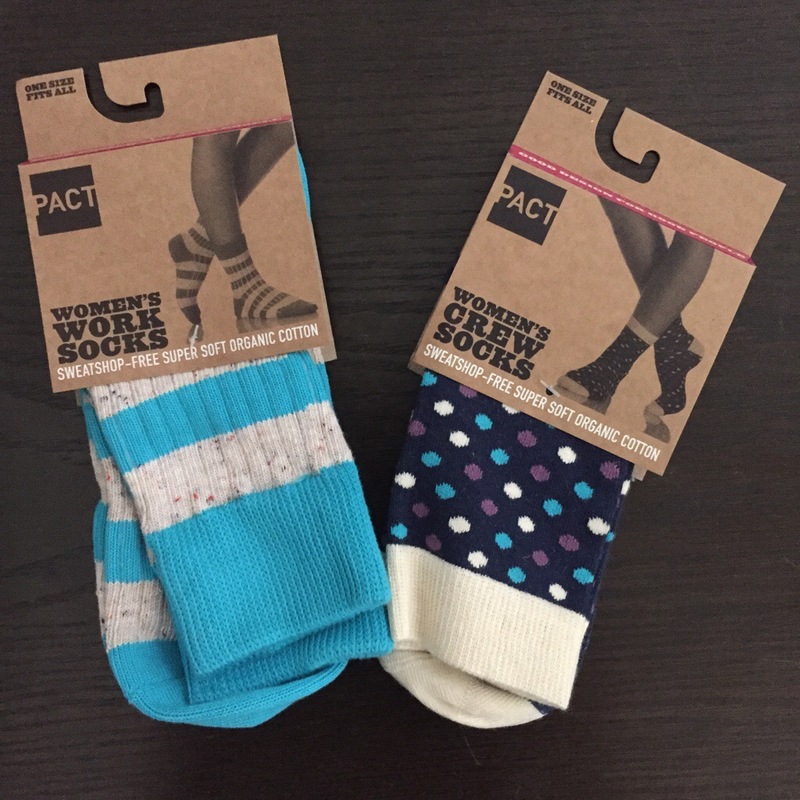 Fair Trade socks by PACT. Pact- I first learned about Pact when I received one of their hoodies from a Klout Perk Fair Trade box I received right around the time Baby Awesome was born. I absolutely loved the hoodie because it was such a simple design but the story behind the product speaks volumes. I got a chance to speak to the Founder & CEO behind Pact and he said the process behind the making of the garments is what truly makes Pact unique. Their process is fair trade every step of the way beginning at the seed that is planted and the cotton that is picked. Speaking to the founders of Pact really inspired me and I was stoked to have had the opportunity to meet them. Babyganics – Now that I’m a mom I’m very conscious about the products we use in our home and on our bodies. I have been more cautious than ever about what type of household cleaners and baby cleaning products I buy. I was introduced to Babyganics when someone gave us a pack of diapers as a gift and I loved them. Since then, I have bought their foaming dish soap for Baby Awesome’s bottles and their toy cleaner. I’m a fan. I saw they had a booth at Natural Products Expo and had to go check them out. I love what they are doing and look forward to checking out a couple more of their products such as their baby hand and face wipes and their baby detergent. 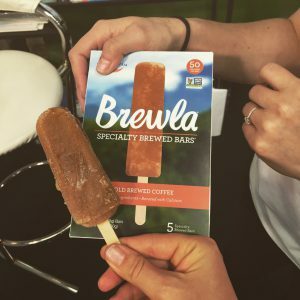 Brewla Bars- I got to spend some time with the folks at Brewla Bars and they introduced me to their new flavor of ice pops – cold brewed coffee! It was so good. It’s not on the market yet but I can guarantee these will be a staple in our freezer once they become more widely available. Marley Coffee- I’ve been familiar with this brand for awhile now but what really appealed to me this year was learning about how they are making the first Eco friendly K cup. It’s no secret that k cups are bad for the environment. I admit I use them and I feel guilty doing so. I would love to have an eco friendly alternative. As the sole coffee drinker in my house (on weekdays) this would be a great solution for me and it’s one that I am pretty excited about. Natural Delights– A date brand who make delicious medjool dates and date rolls made with almond and pistachio. They’re so good. They sent me an awesome “Date with Fitness” package before the show that had several containers of dates and date rolls in them. All containers are now gone. The dates were so good! The folks at Natural delights offered to give away this same goodie package to my readers so enter below for your chance to win! Monterey Farms ArtiHearts- I love eating artichoke but eating them and getting to the good stuff -the heart- is a pain. Sometimes I’m not even sure if it’s worth eating. But then I see things like steamed artichokes in a bag and it makes me remember how delicious artichokes are. Let me just tell you, I loved all the flavors of Artihearts from Monterey farms. I sat at their booth for a while and sampled every flavor. I’m thinking about them now and tempted to go to Whole Foods to buy a pack. You must try these! Half Baked Gluten-Free Biscotti- I was walking down the halls and saw a gluten free baking company called Half Baked. I decided to try their gluten free almond biscotti because biscotti is something I haven’t had in years. I wasn’t expecting much but OMG- this biscotti was GOOD. So good that I stopped mid bite to take a picture because I was in such gluten free biscotti heaven and wanted to savor the moment. I have never seen gluten free biscotti before and wow- this recipe hit it out of the park. I might need some more of this in my life. Whoopie Pies – This was another accidental find I discovered while roaming the expo halls. The Piping Gourmets makes a mint chip whoopie pie that’s gluten free. It’s really good! They are available at Whole Foods if you are looking for something that’s gluten free to satisfy your sweet tooth. Next Organics Quinoa Bites – These are clusters of quinoa dipped in dark chocolate. So simple and so amazingly good. I was tipped off to this product from Next Organics by my pal Melissa over at TheValentineRD.com and so glad I took the time to stop and try their product! *Disclosure: Some of the links above are affiliate links. What about you? 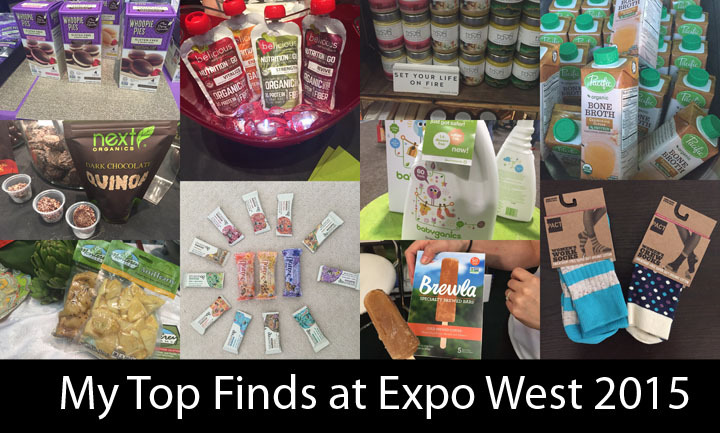 What were your favorite products from Expo West? What products from the above list would you be most interested in trying? Post in the comments and let me know! So many good things! I found @coconutbliss irrestible, I stopped by their booth everyday. Also, Toasted Cocomunt Chips from @MadeInNature and the Vegan Awesome Chocolate Bar by Simply Smart. Tried the Krill chews…well, I guess they are good for you. Sorry I missed the Brewla Bars. Great show, my 1st time there. Hey Lisa! The Krill chews sound interesting. Who makes them? Is Coconut Bliss the coconut ice cream? That is SO good. I know I’d love those Brewla pops and the PB Bursts! I wish I could go to one of these big expos, they sound awesome! Hey Jordan – It really is a cool event. The PB Bursts would be so good for long runs instead of using GU. Hopefully by the time they come on the market I’ll be back running again. So many products and so little time, right? I do love this show too but it is overwhelming. You definitely highlighted products I didn’t get to see. I loved seeing you and you deserve a major award for being away from Baby Awesome and handling it so well! I think I’m already getting myself mentally prepared for next year. I know, I feel like I barely scratched the surface at the show but I went into it this year knowing I wouldn’t be able to see everything and I was okay with it. Had a blast hanging out with you on Friday! those coffee bars sound amazing! I didn’t get to go . BUT the coffee bars sound super yum and the PB burst sound great! They are great! I should try and coordinate a giveaway with these product in the future! The coffee bars sound like such a good treat! They were! I can’t wait until they are available in stores. Hope you’re doing well! I love the cute socks and the Marley coffee. I know! The socks are so fun and I am in love with the concept of an eco-friendly K cup. I love Marley Coffee and Babyganics products! I did not see ANY of these brands at EXPO when I went! LOL!! All I saw was HUMMUS! I saw ZERO hummus at Expo West. Funny how that works! OMFG THAT IS SOOOO WEIRD! We must have been on opposite sides of the Expo Halls or something. im all for those socks!!! Socks that give you warm and fuzzies both inside and out. Hehe! Yum! Sounds like a delicious, fun event to attend! 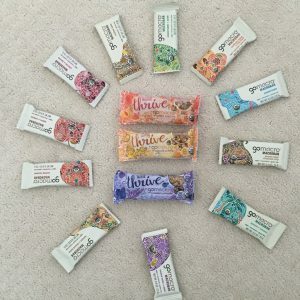 My favorites would be Brewla bars, Munk Packs and GoMacro bars as they all sound so unique! It was very fun! Where are you based? It’s amazing how many unique products there are out there on the market. Brewla bars and the GoMacro bars look very tasty and fun to eat too. Thanks! I love the GoMacro bars. They’re so delicious and I buy them quite regularly. I just bought a pack on Amazon! What flavors do you like? I’d like to try those Munk Packs! I love my sweets so the whoopie pies from Piping Gourmet got my attention. Love whoopie pies! I don’t think I had ever had a Whooping Pie until I saw the booth by Piping Gourmet. It was quite a treat! PACT socks look super cute and soft too! I love PACT clothing and what they stand for. Check them out – their products are available at Whole Foods! The mint chip whoopie pie sounds divine! It was quite the indulgence! I’m working on getting into dates so am very excited about the new date products. Roxanna – dates are really great in smoothies! I would love to try the coffee popsicles! I will have to post an update once they are in stores! The mint whoopie pies sound delish! I really like the Pact socks. I love fun socks. 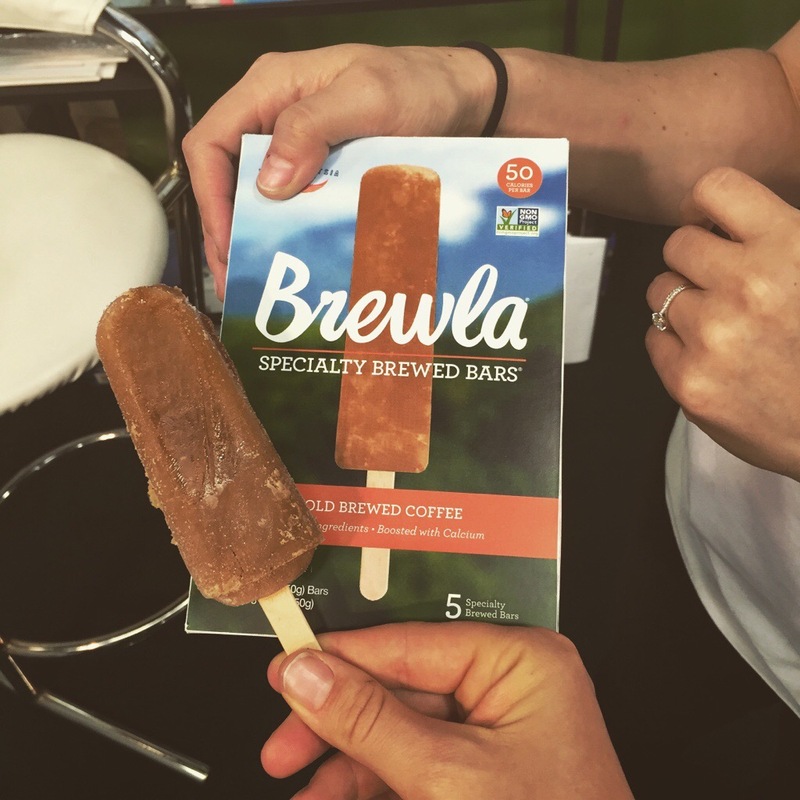 I would love to try the Brewla Bars and the Marley Coffee. I really like Babyganics, I have a small bottle of lotion from them and it’s my favorite. The Brewela coffee bars were super cool. I love finding all these new items to try that are good for you. I really like artichokes, but hate the process to eat them. The Monterey Farms ArtiHearts sound awesome! The Half Baked Gluten-Free Biscotti looks good along with the Natural Delights. I think I could live in a place like this! The date rolls sound delicious! I am definitely intrigued with the coffee bars! I so want to try these!